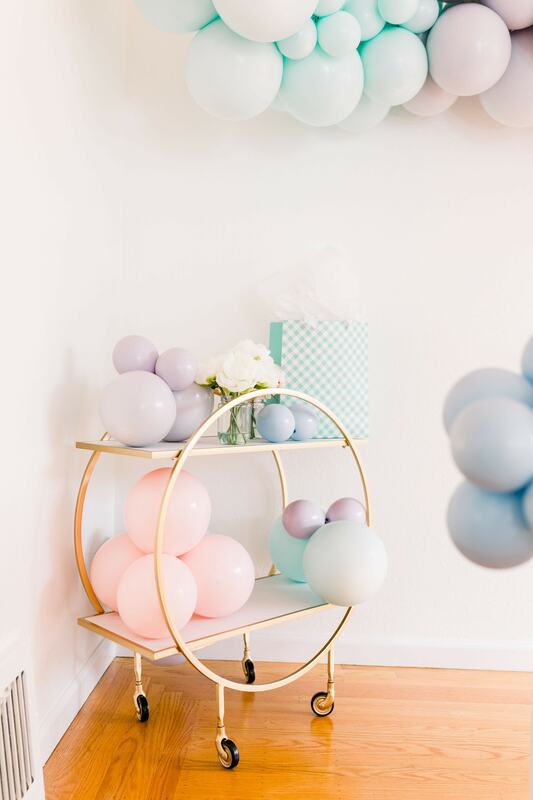 As we get closer and closer to Easter, I just can’t get enough of seeing pastels everywhere! Between all of the sunny days, the tulips and daffodils blooming, and FINALLY being able to wear dresses again, I’m am just obsessed with spring. Seriously! And with spring and Easter always comes Easter brunch as an annual tradition. But I know what you’re thinking – pulling off a gorgeous Easter brunch can be a little intimidating. But it doesn’t have to be! 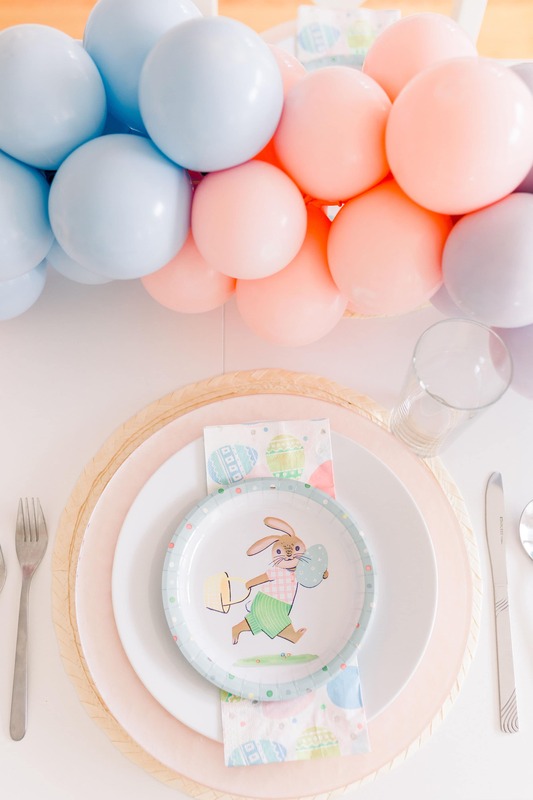 There are simple ways to utilize pieces in your Easter table decorations that you already have on hand or can find at the store that can help you put together an Easter tablescape that anyone can recreate! One of the most important things I learned a while back, is that you don’t need to do everything on your own! And when it comes to putting together a tablescape, that is absolutely true. It’s totally okay to get outside help when you’re putting together an Easter brunch, baby shower, whatever celebration you’re planning! Spend less time worrying about the little details so you can spend more time celebrating! 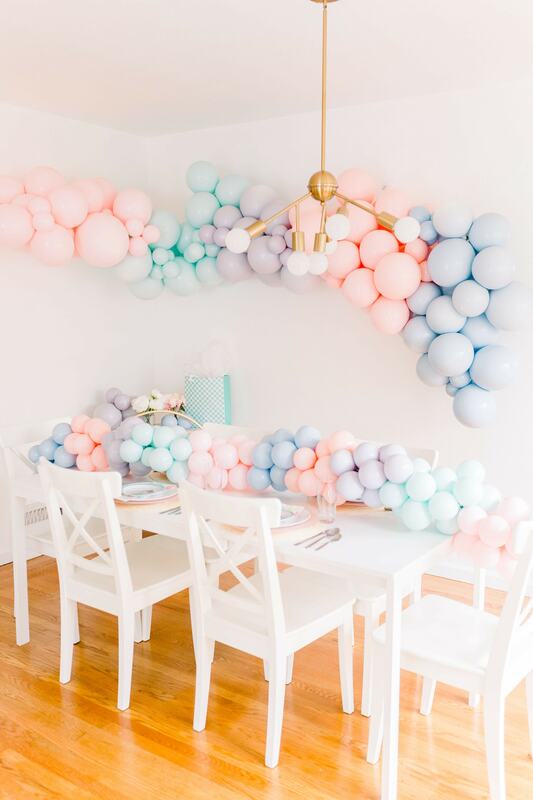 For this Easter tablescape I left the balloons to the pros – Ready Set Confetti! as this DIY goes waaaay over my own head. I just love the custom pastel colors they used to pull this off. I highly suggest reaching out to experts, friends, and businesses when you can to help you pull off something amazing. 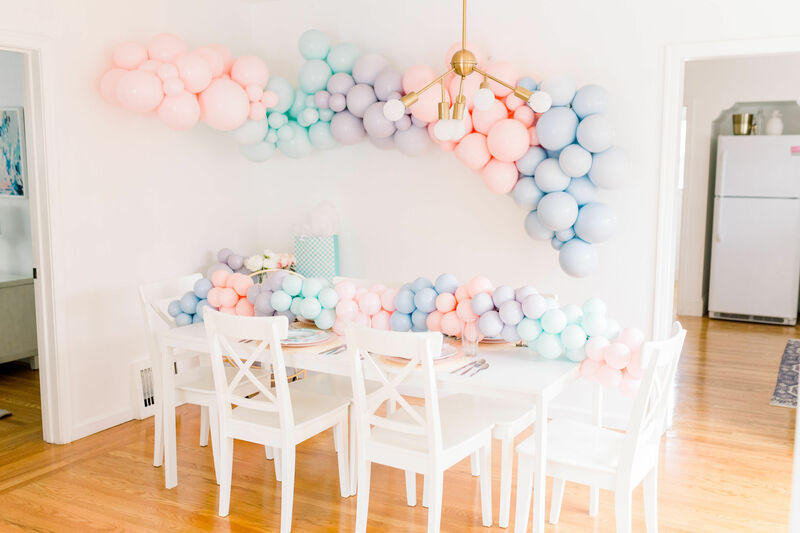 Combining your creativity can truly bring your celebration to the next level! 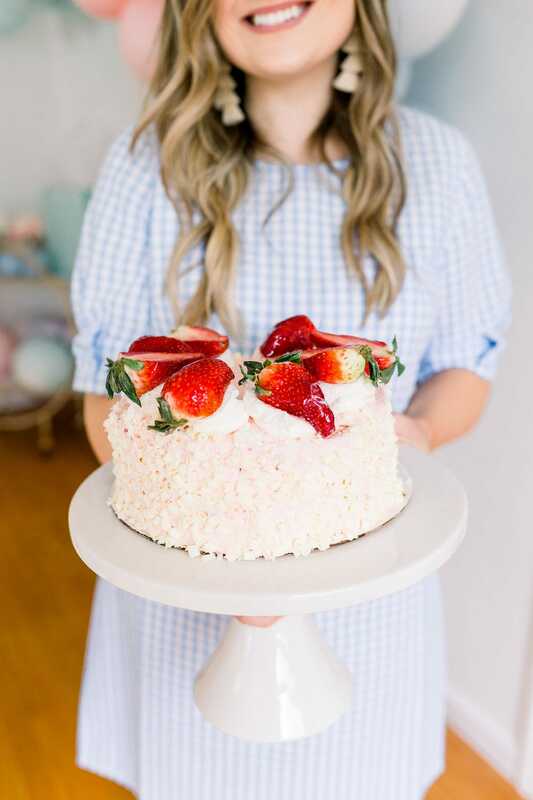 This strawberry cake was only $16 from the grocery store, and I just love the way it screams spring! Of course, you can make your own cake to match your tablescape. But, especially when you’re in a bind as a busy mama, there’s no shame in store-bought! The table setting was completed in 10 minutes – it was seriously that simple! 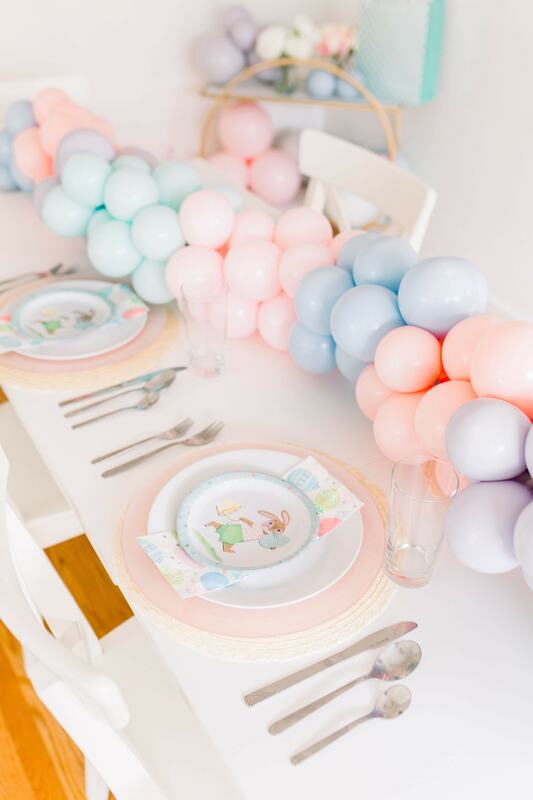 I included the place mat and the pink pastel charger for a layered look, while the white plate added a statement to bring out all of the pastel colors used. I used silverware and glasses already on hand, and the Easter Egg Napkins were only $3.00 from Target! I can’t believe how simple it was to pull this off! Seriously, it only took a phone call to the pros at Ready Set Confetti, a trip to the grocery store, and a trip to Target to put this together. And the best part? It was effortless and stress-free! 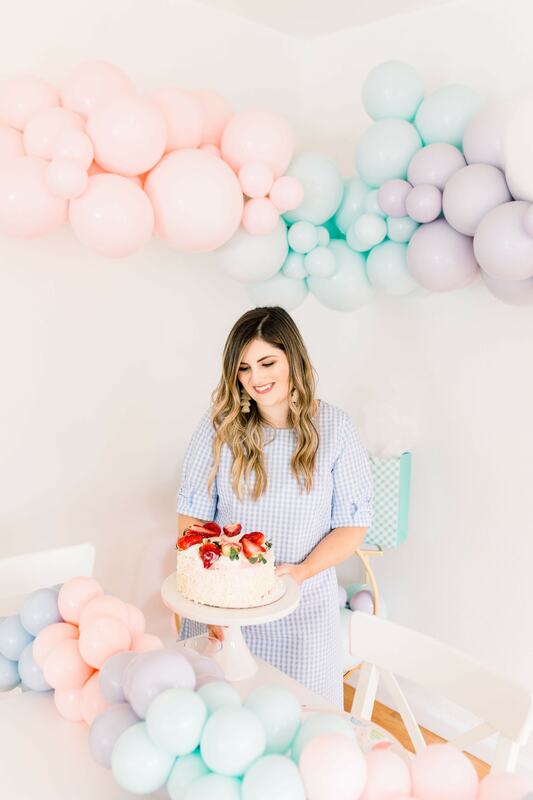 Remember, when you’re thinking about throwing an Easter brunch for the family or maybe an Easter lunch, it doesn’t have to be overwhelming or difficult AT ALL! A few key pieces are sure to dress up a table in no time! What Easter table decorations are you thinking about this Easter season? Share in the comments below! I can’t wait to hear all about it!